Just got back from grocery shopping and my monthly massage. Have company coming over tonight, so right now I'm just chillin', drinking iced tea, watching tv and playing on the computer until I gotta get my lazy ss up and start cleaning house. I thought Crooked Arrows was good but it was a bit cliche as far as the genre goes. Just dropping in to see who I find in the Redhorse cafe! Spiritflight and RDNKJ like this. Hey, Goggen! How goes it? You missed all the frybread the other week. 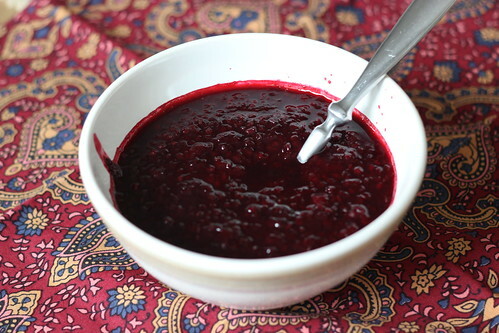 So, frybread and blackberry wojapi for @GoggenGH! subeeds and Spiritflight like this. Frybread was abundant this weekend and I didn't eat a single piece. I feel partially good because they are 700cal of fried dough. On the other hand its so damn good. Would you like to get going with my own music creation? Hi RDNKJ, I would have loved to share a meal with you!!!! I'm fine! Is now living just next to the mountain, which I LOVE!!!! Decided to slow down on the forum as I did not seem to progress. I prefer to spend more time in my environnemental fights! subeeds, Spiritflight and RDNKJ like this. Hi subeeds, nice to see you again. @Toolbox It doesn't matter that frybread is fattening. how'd you find video of teebs practicing in his bedroom? subeeds and RDNKJ like this. Oh haha, you wish I would upload a video of me twerking. 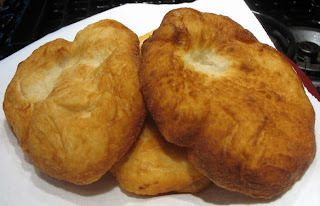 This frybread looks WONDERFUL!! As does the wojapi....I'm going to indulge online only...cuz I started a new diet/exercise program cuz my chubby body can't take this HEATT!! Anybody want to join me in some PRANCERCIZE?? I saw that prancersize video the other day. Wow. Someone should tell that lady she needs to rethink her prancersizin' gear. When I first saw it, all I could think of was...dang, somewhere there's a camel missing a toe!